We've been keeping tabs on Ellie James for rather a long time now, first writing about her music way back in 2011. Back then we saw parallels to the same magic of the young Laura Marling that we saw play in a North London pub at one of her earliest gigs. 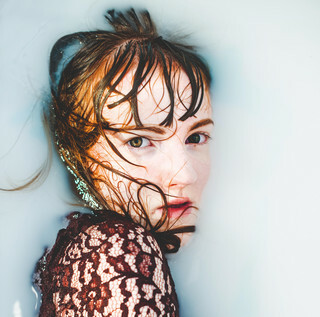 Ellie's latest evolution is as Little Rêd and you can listen to her debut track 'Hell' below. Last year's 'It's For The Best' saw Ellie in fine fettle and 'Hell' picks off where that anthemic single left off. Carrying forward the emotive Laura Marling influence of yesteryear, there's also touches of the likes of Hozier and Benjamin Francis Leftwich in this rousing first effort. Little Rêd she might be, but she's sounding huge here. A special talent, and one that we hope gets further recognition in this new guise. Find more info at facebook.com/littleredofficial.